MHN spoke with founder Bob Hart about his company's unique investment strategy and what's contributed to its significant growth as it comes up on its three-year anniversary. After almost 30 years in the multifamily industry, and 13 of those as an executive with global real estate investment company Kennedy Wilson, Bob Hart went on to found his own firm, TruAmerica, in 2013. Focused on renovating and repositioning mostly Class B apartments in the Western U.S., the multifamily investor and operator has a unique strategy that adds value for its investors, with more than 27,000 units under management valued at nearly $6 billion. Coming up on its third anniversary since its founding, MHN spoke with Hart, the founder, CEO & president of TruAmerica, to discuss the benefits of his company’s focused investment strategy and how the firm plans to continue its growth in 2016. MHN: Why did you decide to found your own company? Hart: I’ve been in the multifamily industry since the mid-80s, more as an investor and entrepreneur. Then I became an executive in the industry and an officer of a public company before founding TruAmerica. It made sense at the time to leave my position because of three things: one, I had a capital partner with a similar long-term vision about not only real estate but the multi-housing industry, which was GuardianLife. They’ve been my longtime partner that owns 80 percent of this company. They’ve also been a dedicated capital partner at Kennedy Wilson where we really got to know each other and had similar value systems about the nature of real estate, how we would invest and work together for rational returns over time. The second thing is the real estate cycle that emerged after the recession was going to have a lot of life to it, particularly for multifamily, because it wasn’t a cycle based on negativity from being overbuilt, it was under-supplied. The fundamentals were still very strong despite the downturn in the economy. I also think that’s born out now because as we’ve been moving through the cycle over six or seven years, in the apartment industry we’re seeing tremendous growth, demand and a shift in how Americans are living and their need to find quality affordable housing. Maybe it’s not Class A, but we’re targeting renters by necessity who are looking for workforce-oriented housing that’s a little higher quality—people that for the most part are living in apartments because their income necessitates it and they want to be close to jobs, have shorter commutes and flexibility. I call that workforce housing, some people may confuse that with affordable housing, but that’s not what we’re talking about. The bandwidth of that market segment is high in most urban areas, and no one’s building for that sector because you can’t justify the cost of new construction. All those things lined up well to start TruAmerica, focusing on that sector of the market in multifamily. MHN: What main factors contributed to TruAmerica’s growth over a short time? I think when you start any company, having a solid capital base helps a lot. When I founded the company, we started with one investor, GuardianLife. Now we have a dozen investors, many of them world-class institutions that are large capital partners. With those investors, we’ve been able to expand our platform, broaden our geographic reach and do much larger, more complicated transactions, typically multi-property or portfolio transactions. Our capability has grown as a result of our ability to raise capital and find a home for that capital in transactions that make sense, and a lot of them are often off market and have good economies of scale. We’ve scaled up the company quickly as a direct result of finding and maintaining strong capital relationships. The other thing is experience. I’ve been in the business 30 years and done about $9 billion in transactions in one shape or form. I know the markets, understand the direction of the markets and it allowed me to pull a team together quickly to address those opportunities. Those things gave us a very rapid entry point into the multifamily market. Even though we’re a startup, there really was no startup. Everybody came to the business with experience. We were able to attract strong talent in each functional area of acquisitions and underwriting and and as a result work hard and build a base. We’re also vertically integrated. We do our own construction, project and asset management, and then financial support in accounting and reporting. The four cornerstones of the company are built now and we’ve built the company for growth and bandwidth with about three-dozen people in six different offices. The Southfield apartments in Nottingham, Md., were part of the almost 1,100-unit portfolio TruAmerica acquired in its first purchase on the East Coast. MHN: How do you think TruAmerica’s goals or strategies have changed since its founding? Hart: We’ve been mostly consistent. We’ve expanded our strategies a little bit, but our core strategy has been renovation and repositioning of Class B. We’ve delved a little bit into Class A. We have a number of pension fund advisors who like to place capital into some higher quality product. To create a little more value-add in that, we’ve done pre-sales where we identify a developer who has an opportunity for an early acquisition of the property and make a deal with that developer that we’ll take over the project when it’s complete. So hopefully we’re getting in at a little better cap rate, creating value for the lease-up, and giving our investors an opportunity to diversify slightly into more of a Class A building. In addition, this year we bought our first portfolio, about 1,100 units, on the East Coast in the Baltimore/Washington area from a private seller. We’re hoping to expand toward the East Coast and the Mid-Atlantic region starting with that transaction. So I wouldn’t call it a change of strategy but an expansion of strategy. MHN: Why did you think 2016 was a good time to start expanding and what other markets are you looking to expand into? Hart: It’s a good time because we want to to create geographic diversity in our portfolio and we’re looking to add capability in those markets. We also think the in-fill nature of a lot of the East Coast cities has a very similar dynamic and need for renovation and repositioning of assets. Basically, we’re taking the same strategy and dropping it into areas that’re supply constrained and markets that need it. We’re hoping to target three to four East Coast markets—in and around metro New York, the Baltimore/Washington area, and probably some sectors of the Southeast from Florida to the Carolinas. We’re looking at primary markets and the first ring road outside of the primary markets, maybe 15-20 miles. We’re not going tertiary; we’re staying well within the metro areas. So it’s more of an urban-suburban type of strategy. We’re typically not buying downtown metro kind of deals, we’ve done a few, but that’s more the exception. Our projects tend to be close to the downtown metros but not in them. We’re buying typically larger projects that sit in green fields, that’re lower density, a little bit older, that require repositioning, and we’re getting good value for the real estate. We’re still buying well inside of replacement costs and we’re not competing as heavily with Class A as a result. MHN: Why did you decide pursue a value-add strategy? Hart: That’s been my core capability for a long time. I’ve also done it for many years through my own account. I feel like the opportunities are more plentiful because you have a lot of older housing stock that needs an upgrade. By creating value-add and being vertically integrated, it gives us a competitive advantage of capability. We find buildings that are either under managed or under renovated, and lift values by repositioning them and getting higher rents as a result. In a way, we’re like redevelopers. If we’re buying a deal at a 5 or 5.5 cap rate based on trailing income, we’re trying to expand the spread or cap rate somewhere between 200-300 basis points by lifting the income through gradual renovation and without upsetting the cash flow of the asset. We’re creating project returns somewhere between say the high-teens and low-20s while maintaining a significant amount of cash flow. Whereas as a developer, you’re taking a risk associated with entitlement, construction and hopefully leasing up a project. In some respects, returns can be higher but the risks are much higher. 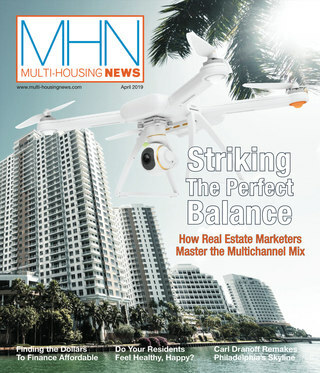 MHN: What’s your overall outlook for the multifamily industry and for multifamily investment in particular? Hart: I’m cautiously optimistic. I don’t know if I’d be starting brand new development right now in downtown Seattle or San Francisco, trying to target $6 to $8 dollar per foot rents, depending on the markets you’re in, or even New York. But I’m optimistic that there’s going to be continued steady growth base demand for multifamily housing in the U.S. Although the birth rate is declining a bit, you still have 3 million new people moving into the country each year, which creates a tremendous amount of household demand. Plus you have housing stock that comes offline and the expansion of households becoming smaller. 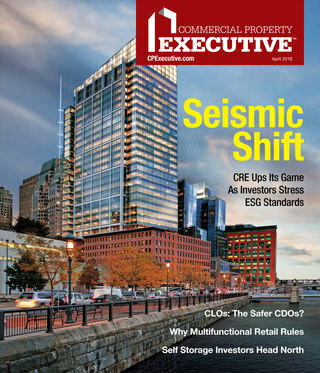 Overall, the shift is happening long term in multifamily. I think it’s not a cycle of innings nor a cycle of gains, but a cycle of seasons. There may be dips in the real estate cycle based on cap rate or investment enthusiasm, but I don’t think that’ll affect long term the demand for multifamily product. Probably not since the end of WWII have we seen this much demand for housing, particularly multifamily, and I think it’s going to continue. In terms of investment, I think there’s more foreign capital coming in. You’re seeing in real estate and in the financial markets, people are seeking yields in the low-interest-rate environment. We just saw the merger of NorthStar and Colony Capital announced. That’s very interesting. We’ve seen this dynamic growth in Blackstone in the real estate area, who wasn’t as active a real estate player 10 years ago. We get many inquiries every day from foreign and new sources, and the challenge is not so much finding capital as finding transactions that meet the needs of that capital. Our investor demand is very healthy. MHN: Are there any trends or challenges you’re noticing in the industry? Hart: We have two agencies that provide most of the financing, Fannie and Freddie, more than they’ve ever been. There’s a ton of banks out there lending. There’s tremendous amount of equity and liquidity in the market, and great rental demand. I think there’s a little element of cautiousness. Can this keep lasting? Can people continue to afford rising rents? You see that published more and more because a lot of the middle class is disgruntled that have been left behind in the recovery. The biggest challenge in growing the overall economy, let alone the rental economy, is affordability. That’s probably the number one threat: maintaining peoples incomes at a level that can sustain rental growth. MHN: What are TruAmerica’s goals or plans for this year? Hart: We’re continuing our approach. Last year we did over $1.8 billion in transactions, which was really an outsized year for us. This year we will do somewhere between $750 million and $1 billion in transactions. We’ll continue to work on strengthening our operations team and managing all that real estate. We’re also focused on expanding the company geographically to the East Coast. Our business model is not exotic, it’s very straightforward. Our secret sauce is identifying value-add transactions and then being able to redevelop and rehab those on budget, on time and meet rental demand.